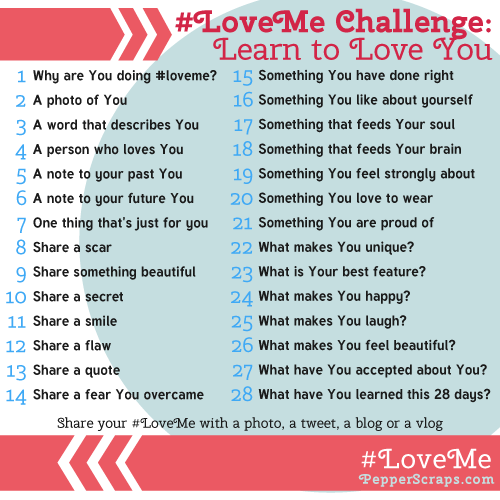 Being Frugal and Making It Work: February #LoveMe Challenge: Day 18! Being a mother of two children and working in an elementary school - I learn something new every single day. Day 18 in the #LoveMe Challenge is to share something that feeds my brain. This sounds really fun! I think we can be our worst critics, and doing something like this will open our eyes to see good things about us!! I've been following these and love what I read. This challenge is totally inspiring. Even though I'm not doing it, I'm loving everything I see! I have so many days to get caught up on this challenge. Sigh. I love your answer.